Here, I’m going to show a simple pre-amplifier circuit that I designed for my electronic stethoscope. 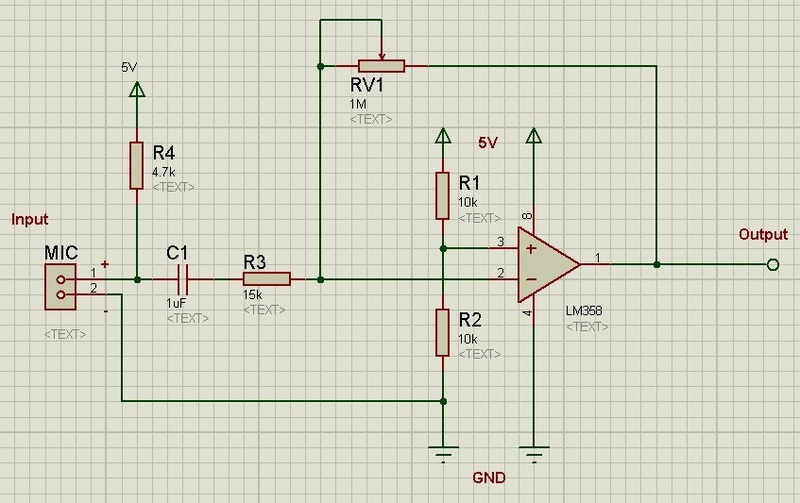 This is a single-supply inverting amplifier circuit with a gain of almost 70 times. The circuit is based on op-amp LM358. From the left side, an Electret microphone is used with a bias resistor R4. This resistor provides an operating voltage of around 1.5V to the microphone. After that, a DC blocking capacitor was used. This capacitor is a must but the value could be chosen by calculating the gain and filter of this amplifier circuit. The resistor R3 and RV1 are the input and feedback resistor of this amplifier circuit. R1 and R2 give a 2.5V at the non-inverting terminal of the op-amp (Pin-2 of LM358), this was done so, to get a 2.5V offset voltage at the output end. The explanation of this will be found in the video below. As a capacitor was used with a resistor in series, a high pass filter was formed after microphone connection. The cutoff frequency of this filter could be calculated using this formula. For this circuit, I required Fc = 10Hz. So I kept capacitor value fixed that was 1uF and then calculated the required resistor value for this purpose and got 15K approximate. 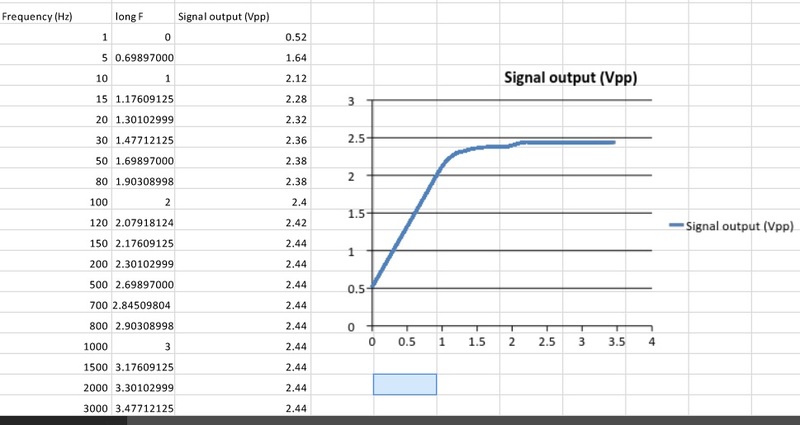 My gain requirement was 100 times, therefore I chose higher value variable resistor that was 1MΩ. One thing is noted in LM358’s datasheet they recommended not to use feedback resistor value above 1.5MΩ. An excellent explanation of operational amplifier could be found in this video.